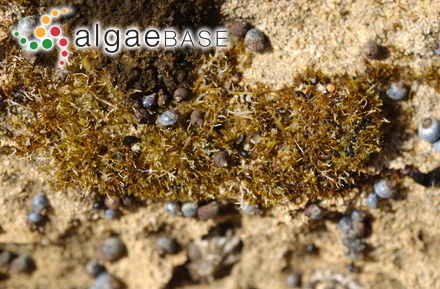 microscope detail, De Hoop, Western Cape, South Africa, August 200. 09 Dec 2011. Robert Anderson. © Robert Anderson (anderson@botzoo.uct.ac.za). in upper eulittoral zone, De Hoop, Western Cape, August 2008. 09 Dec 2011. Robert Anderson. © Robert Anderson (anderson@botzoo.uct.ac.za). 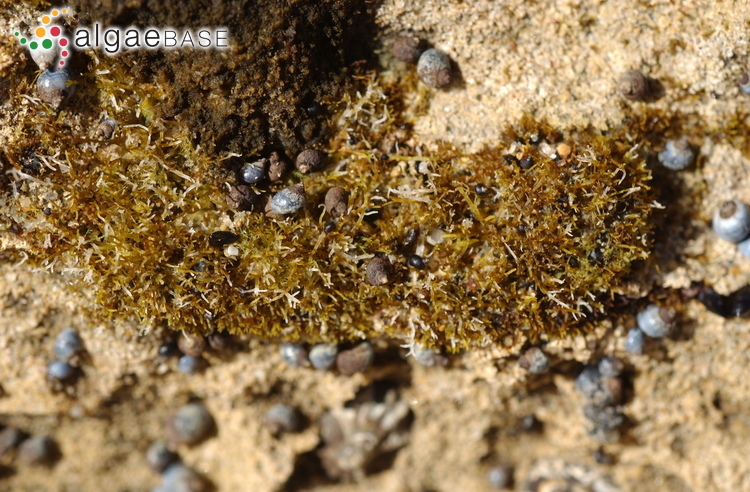 Point Lonsdale, Victoria, Australia; upper-shore crevices; fronds only a few mm high. 01 Mar 2002. Michael Guiry. © Michael Guiry (mike.guiry@nuigalway.ie). Published in: Montagne, C. (1852). Diagnoses phycologicae, seu quibus characteribus, discriminandae sunt species lichenum algarumque nonnullae novae, in tomo Florae chilensis octavo nondum typis mandato descriptae. Annales des Sciences Naturelles, Botanique, sér. 3 18: 302-319. 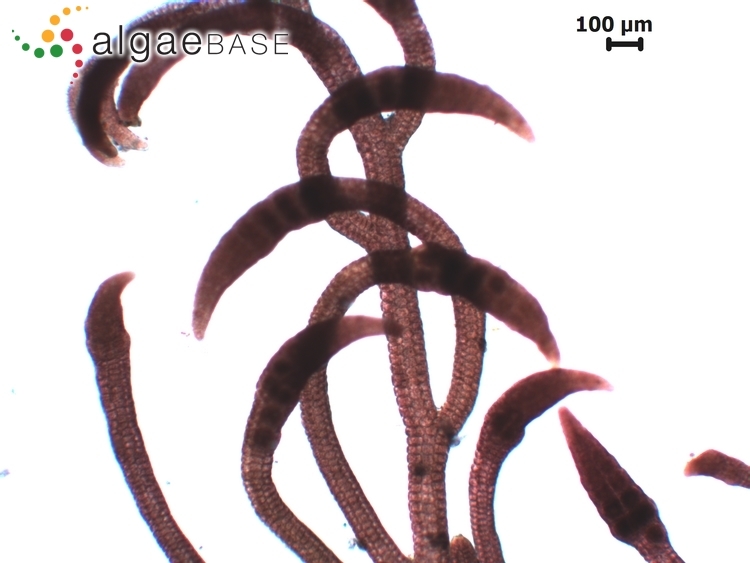 The type species (holotype) of the genus Bostrychia is Bostrychia scorpioides (Hudson) Montagne. 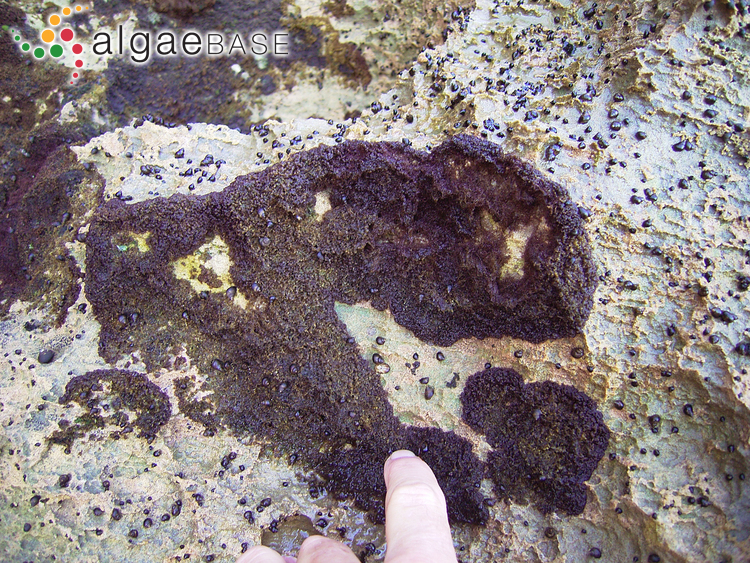 Lectotype locality: Falkland Islands (Silva, Basson & Moe 1996: 552). Lectotype : PC (Womersley 2003: 369). Notes: This type locality was first recorded by Post (1936: 36, 40). Collector: Durville and Lesson (INA). Muangmai, N., von Ammon, U. & Zuccarello, G.C. (2016). 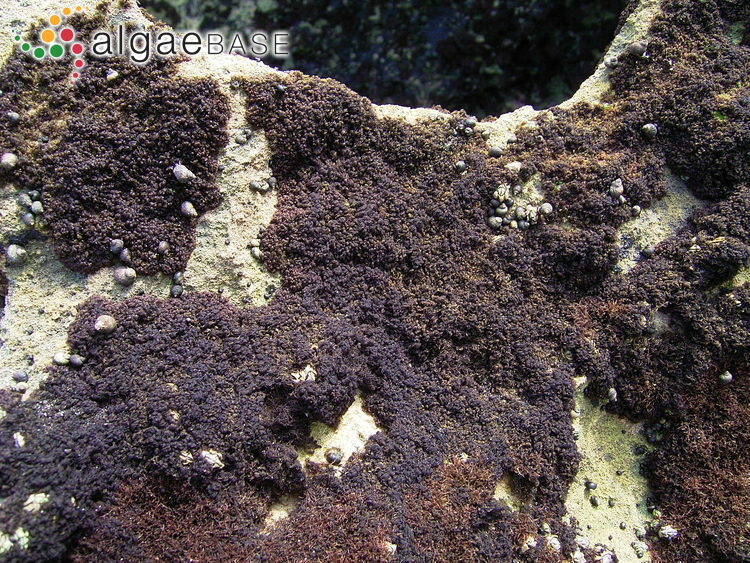 Cryptic species in sympatry: nonrandom small-scale distribution patterns in Bostrychia intricata (Ceramiales, Rhodophyta). Phycologia 55(4): 424-430. Accesses: This record has been accessed by users 1420 times since it was created.